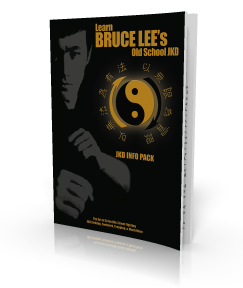 On the eve of Tao of Jeet Kune Do’s release, public awareness will be awakened again to the legendary man who wrote this book: Bruce Lee. As a child, I used to call him “Uncle Bruce.” But there was another special human being who I regard just as warmly. And when looking closely at the Tao,this other person was behind the scenes, as well—a devotee who used his time and energy to build the most prolific and modern book in martial arts history. This unsung hero deserves to be remembered within the chronicles of the jeet kune do world. His name is Gilbert Johnson. Who is Gilbert Johnson? Why is he of major significance? Let’s begin with the fact that Gilbert was specifically chosen by Linda Lee Cadwell to carefully and delicately tend to the sea of papers reflecting her late husband’s thoughts, words and insights. The monumental task of organizing and preserving these writings by my honorary uncle would become a sacred endeavor for Gilbert, and he became co-editor of Tao of Jeet Kune Do (and The Filipino Martial Arts, a book by my father, Dan Inosanto). As an accomplished martial artist on his own terms, Gilbert was an inquisitive human being and connected very much with the teachings and principles of jeet kune do. Before his mission with Tao of Jeet Kune Do, Gilbert was a gifted writer and independent journalist who frequently wrote for Black Belt and other publications during the 1960s and 1970s. According to one of his family members, Gilbert experienced several life-threatening events in his lifetime, but he managed to survive. As a freelance journalist, Gilbert also threw himself smack into the middle of the 1979 protests in Isfahan, Iran, and survived to write of his account of the Iranian Revolution. Perhaps because he served in the military, Gilbert was prepared to boldly and resiliently come face to face with the world. Despite these experiences, Gilbert managed to have a big heart. He wanted to help people. Gilbert tried to share his enthusiasm and friendship with others no matter how old or young. I adored this man as a child growing up. He inspired me through the pure essence of his kindness. By the time the 1980s rolled around, the AIDS epidemic started to spread across the United States, where the illness was labeled a “gay disease.” Sadly, Gilbert was one of the first people I knew to contract the disease via a blood transfusion, which he needed after being involved in a car accident. And because of this, he quickly understood the discrimination and prejudice he’d face. As a result, he became an activist to help spread awareness that AIDS can affect anyone, that compassion is needed, not hate. In my film The Sensei, I tried to show how this historical attitude affected the martial arts world by featuring a gay martial arts students who had to deal with discrimination. As a writer, director and producer, Gilbert would challenge me—mind, body and spirit—to address the prejudice that has touched the martial arts community. As a close family friend to my father and the rest of the original jeet kune do family, Gilbert was a brilliant choice to meet the challenges of putting together the most soul-searching and significant writings of my godfather. He tirelessly worked and employed the techniques of a researcher and detective. He studied and trained with my father and the other jeet kune do students at our family academy, which was humbly tucked away in our home’s backyard in Carson, California. Gilbert wanted to understand and explore what Lee was saying through these precious and profound documents that were left behind. I like to compare his work on Tao of Jeet Kune Do to a doctor helping to deliver a child into the world. It has been 35 years since Tao of Jeet Kune Dowas born into the public eye. I am glad that such writings will be exposed to a new generation and that Gilbert has a place in martial arts history for giving the world such a groundbreaking and spiritual book.